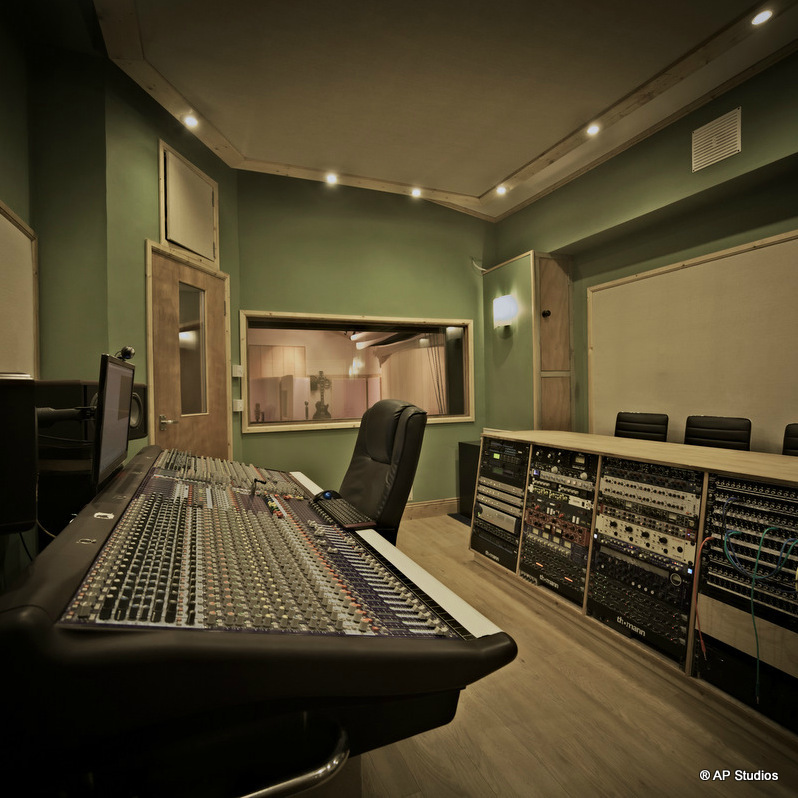 Our studio is based around a Midas Heritage 1000, 40 channel analogue mixing desk, Pro Tools HD 3 and Apogee converters. With three Rosetta 800-192khz and a Digidesign 192 we can run 32 physical output and input. No matter which equipment utilised, if you are not working in the right environment it will be hard and almost impossible to obtain a quality product. 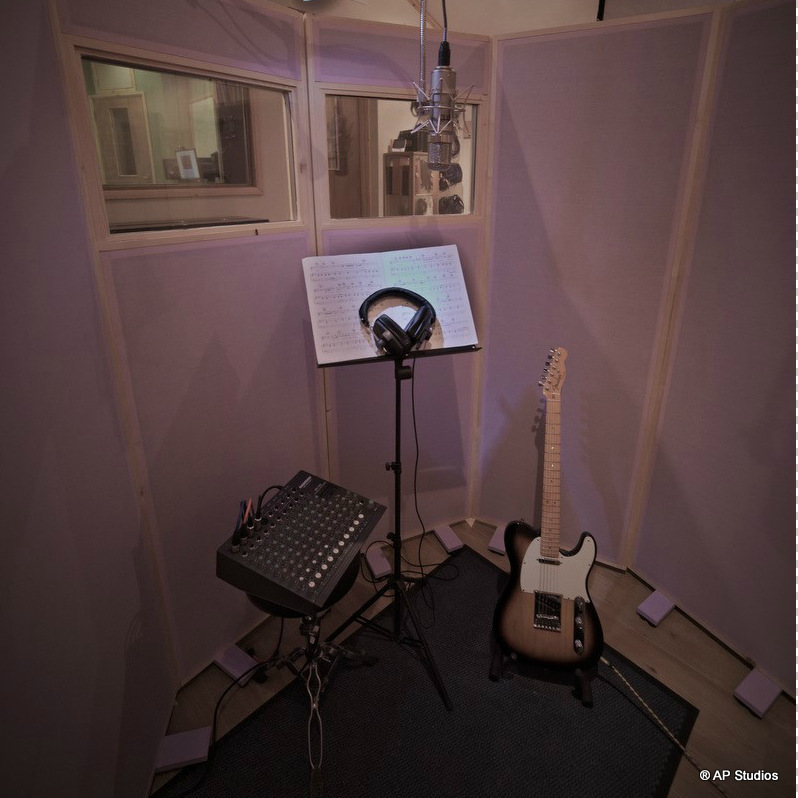 The acoustic treatment in a recording studio, often overlooked, is equal if not more important than the equipment setup. That's why here at A.P. Studios particular attention has been paid to the above matter. 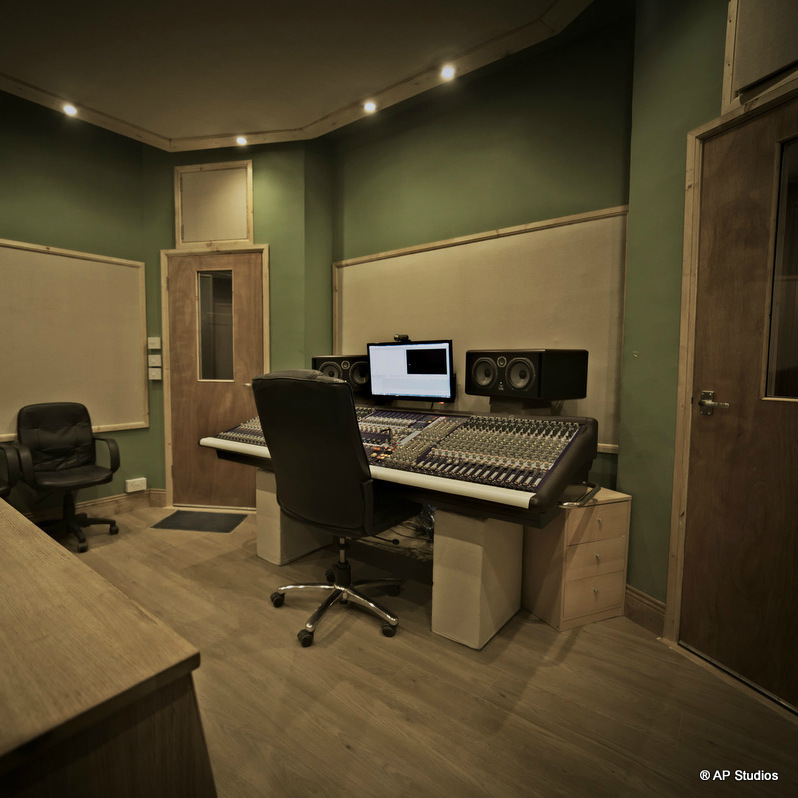 All the rooms have received state of art acoustic treatment and design, the live and control room have been innovatively sound proofed to eliminate any external noise interference and are separated by a large double window with an excellent sight line. 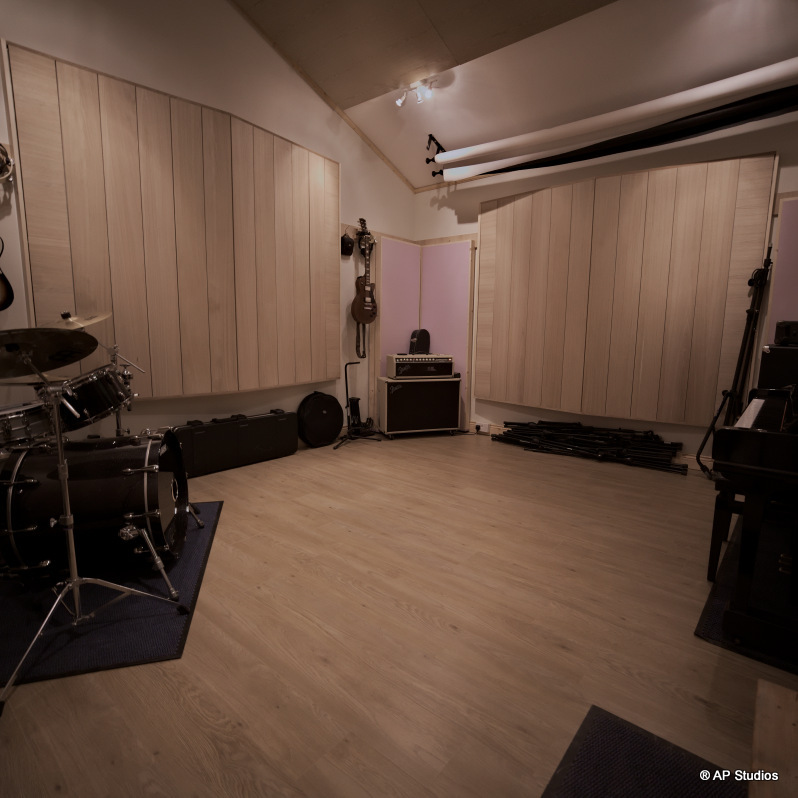 As you enter the live room you will suddenly notice the vibrant ambience enhanced by the colours and the wooden floor which is also perfect for miking drums and acoustic instruments. The acoustic in this room is state of art! It was built with a golden acoustic ratio to minimize artifact at the early stage. An extensive array of slat resonators and bass traps, mostly hidden in the wall, were used to further improve the acoustic. The result? 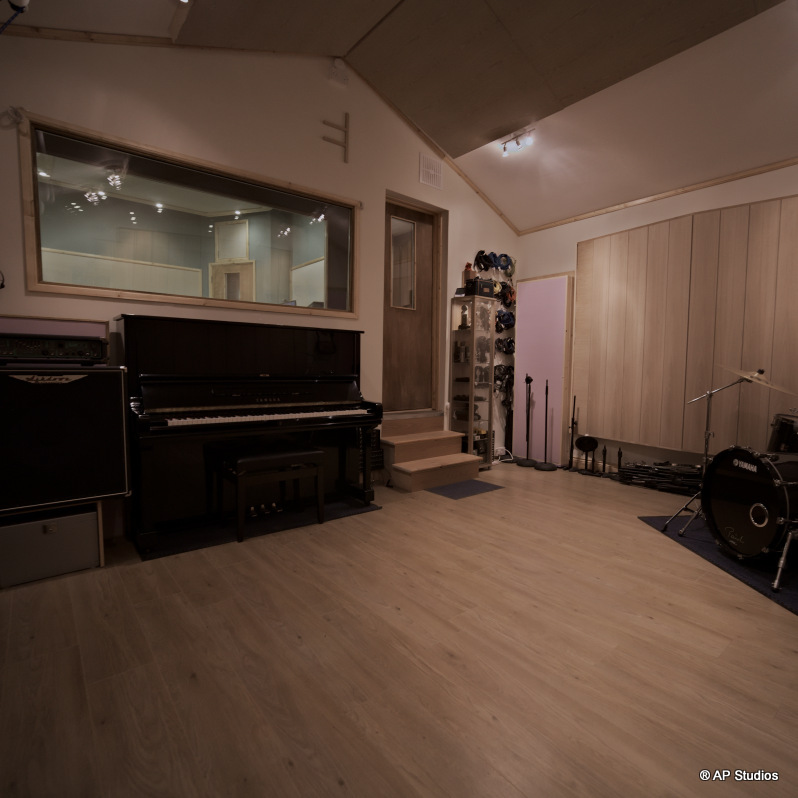 The room has a lively neutral sound, thanks to its high and pitched ceiling, drums sound big and vibrant. 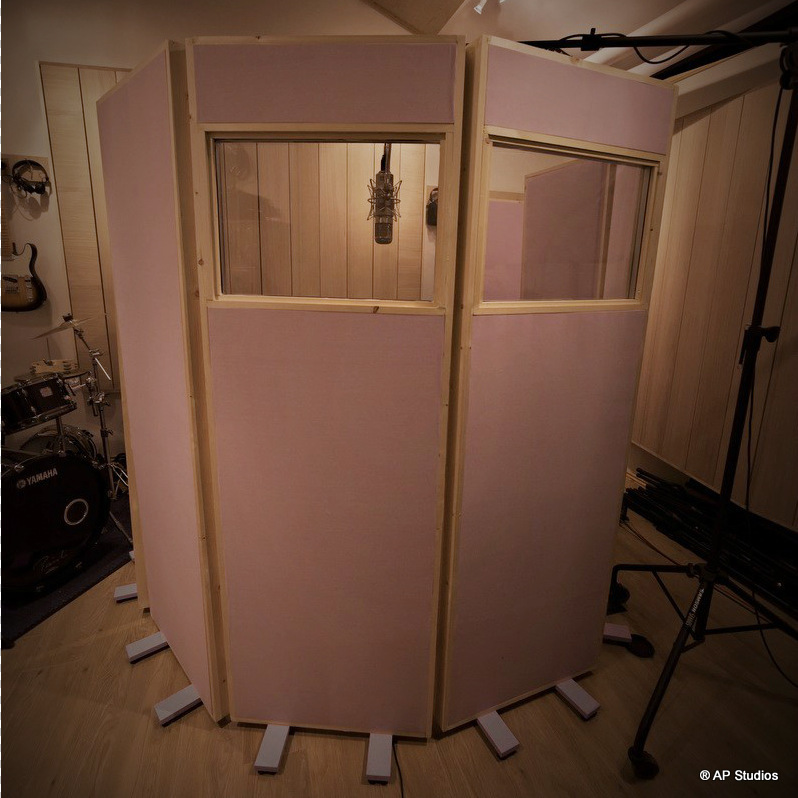 If you require a more intimate sound there's no problem, we have many movable gobo panels to tailor the acoustics for any required sound and we can also create a complete isolation boot, perfect for voice over recordings. The control room is spacious and has a very calm feeling. 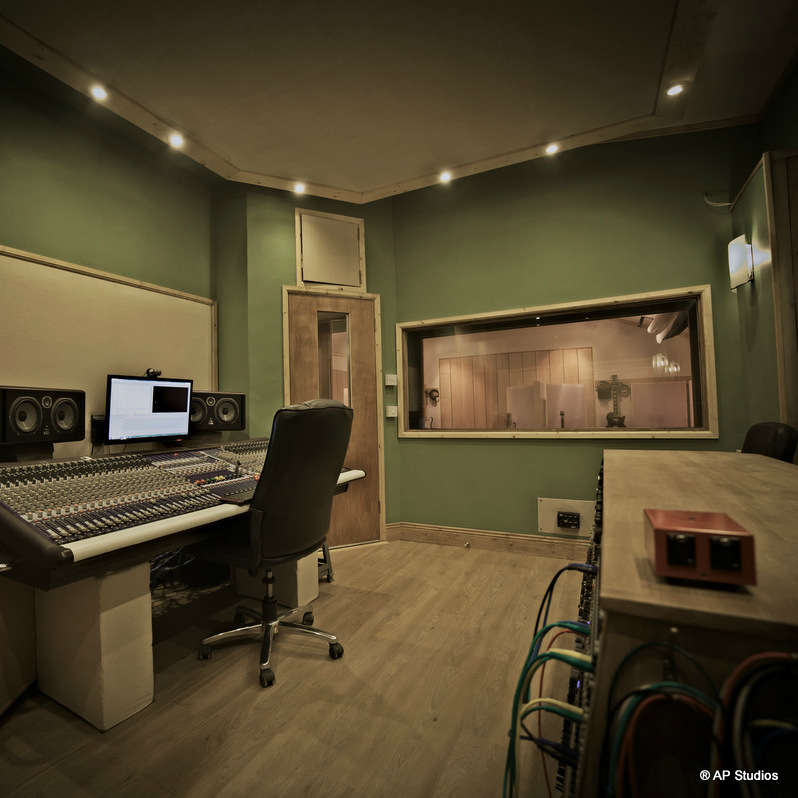 The room has been treated with a mix of custom made membrane bass traps and high density absorption panels in order to achieve a natural and transparent mixing and listening environment. At the back there is a big outboard rack that also functions as a desktop for working on laptops etc., while waiting to be called or just chilling out with free WiFi and tea/coffee facilities. 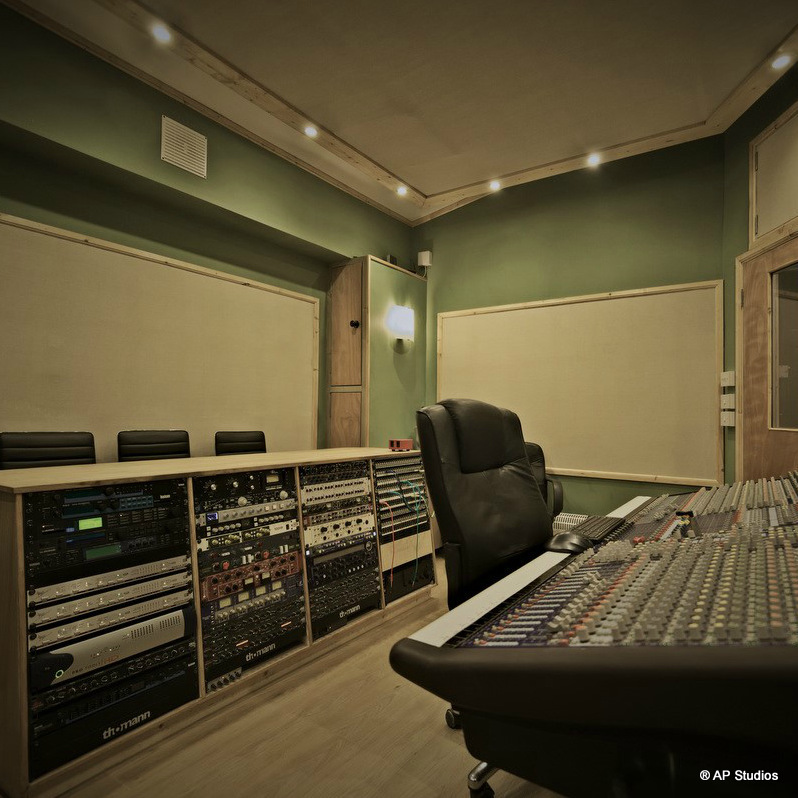 There is also perfect lines of sight from the seating area to both the live room and the control room mixing desk.